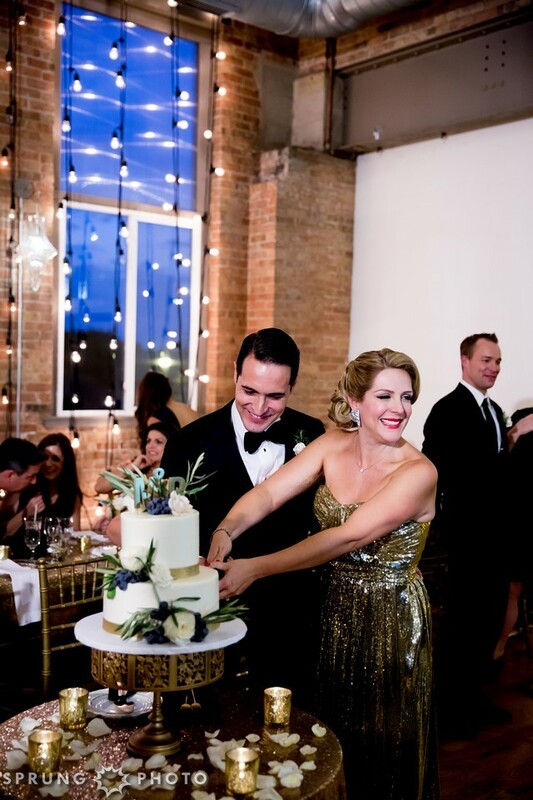 Martha & Ricardo's Kitchen Chicago Wedding — Sweetchic Events, Inc. There is nothing more exciting than a bride who knows exactly what she wants and has poured her heart and soul into finding every single detail. And let me tell you, there are A LOT of details. 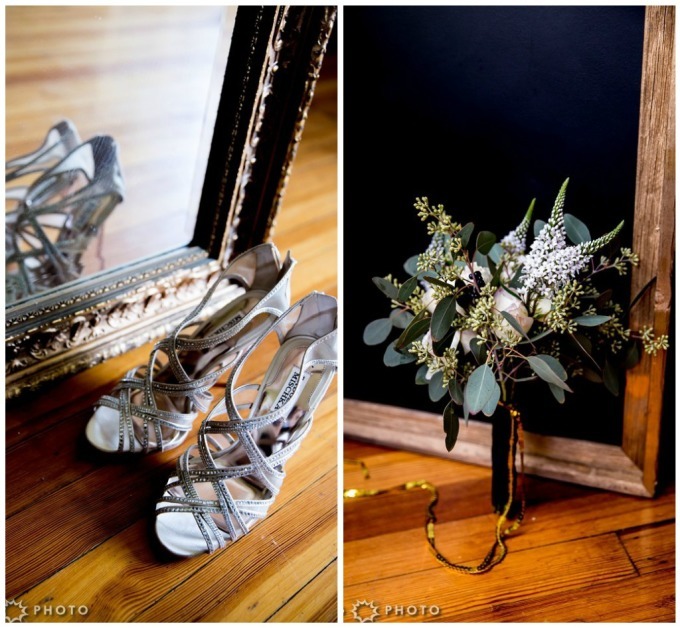 This black & gold, Old Hollywood glamour wedding could not have been a better portrayal of Martha & Ricardo - classic & fun. 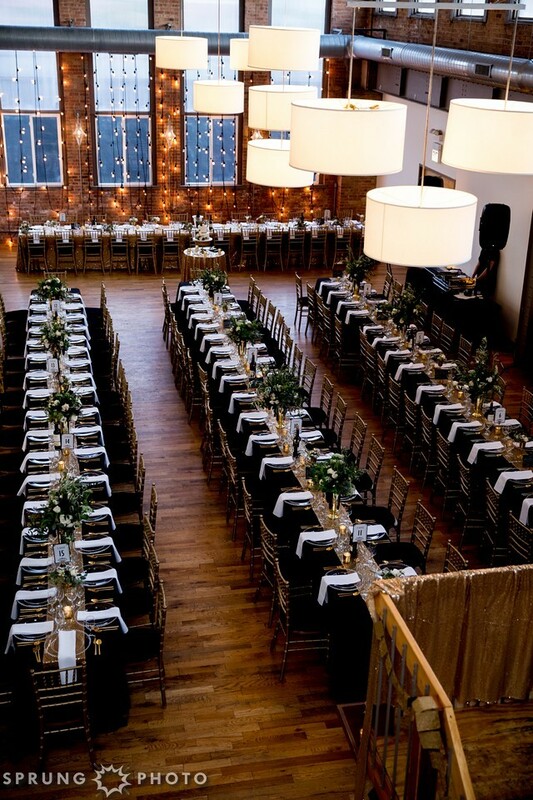 Kitchen Chicago was the perfect location for a vintage, rustic vibe, with lush green and white floral centerpieces by Asrai Garden enhanced the sequin lined tables. 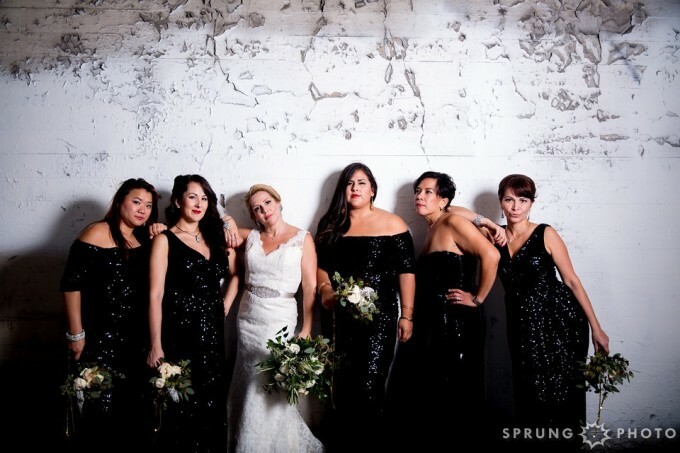 Sprung Photography captured the most vibrant photos of their glamorous day which was filled with so much laughter and sweet tears. 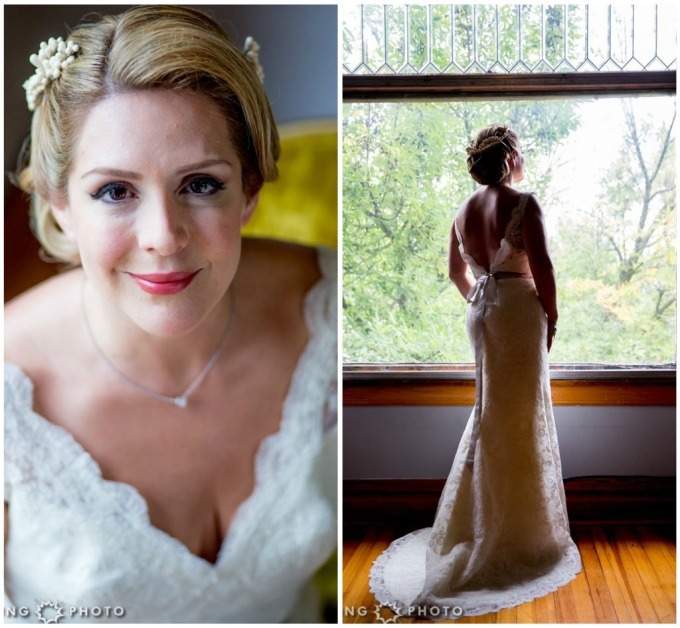 Our beautiful, art deco bride - check out the vintage hair & make up! Martha & Ric's two sons were the ring bearers -- so adorable! Martha actually DIY'd the gold mason jar pew decor which lined the whole church aisle. 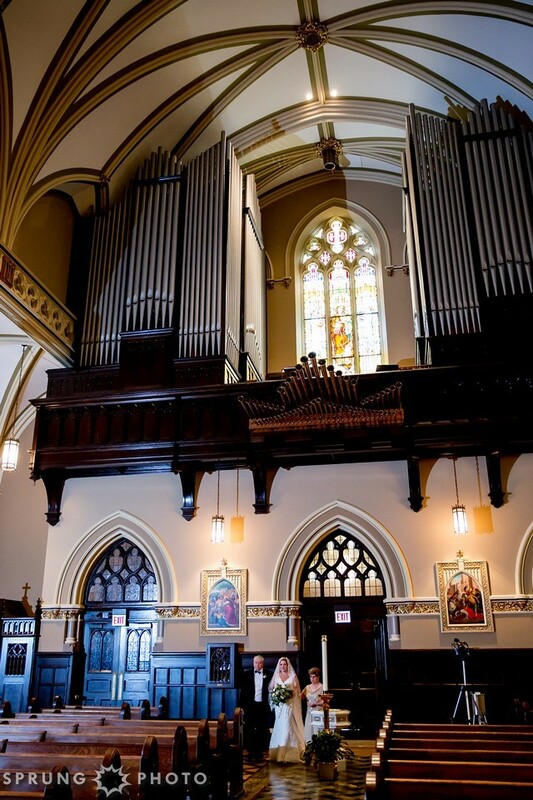 Martha& Ricardo really wanted to feel "urban Chicago" in their photos - Sprung Photography delivered! 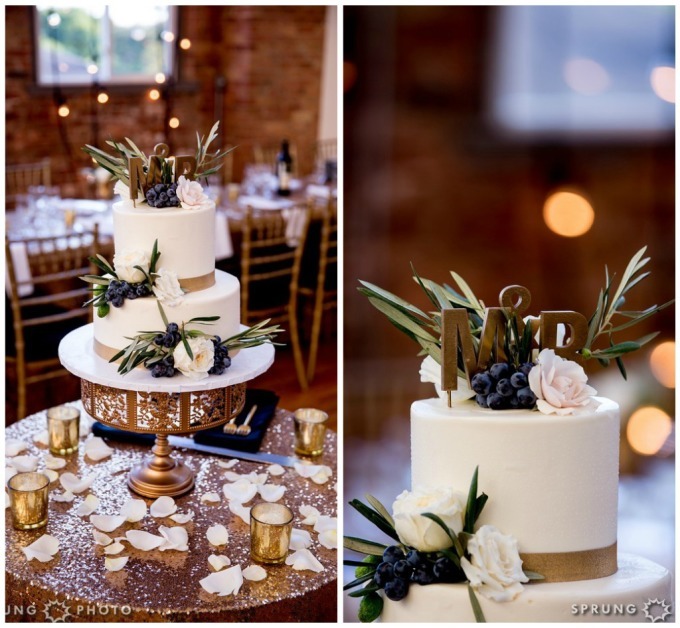 The lush, gold urn arrangements by Asrai Garden were full of greens, feathers....and REAL grapes! Martha had a custom Dia De Los Muertos statue made of her family -- even the dress matched! We love the idea of a reception dress -- when its all sequins -- we love it even more. These two had me moved to tears. The love between them is always so visible.